I am not good at speeches (© Tony Soprano). Recently I was looking for a way to track my progress and decided to give these kind of topics another go. I will try to update it every sunday. Edited by Radltz, 14 September 2018 - 4:18 AM. Thanks for getting me your picture of proof! Best of luck with your account and goals, looking forward to your progress. 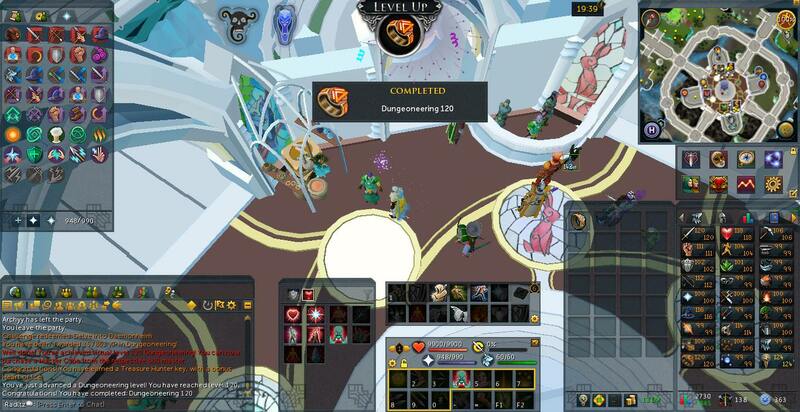 Guessing your current goal is to finish off 120 Dungeoneering? As you can see I am playing really casually and because of that my progress is really slow. Also in order to brighten up the topic I am planning to include some grapchics (little banner, skills icons) next sunday or later this week. Edited by Radltz, 14 January 2018 - 10:54 AM. Edited by Radltz, 14 January 2018 - 2:09 PM. Edited by Radltz, 07 July 2018 - 7:27 AM. Good luck on your Goals, it might be good to use a site like runetracker.org or runeclan to get graphs/pictures of your exp gains for your thread in the future! OO8's Goals & Achievement Thread! I have been actively playing since the beginning of summer and finaly decided to update my topic. Already made a lot of progress on my main - 120 hunter goal, raised Nex kc and finaly found enough will to finish all the quests. 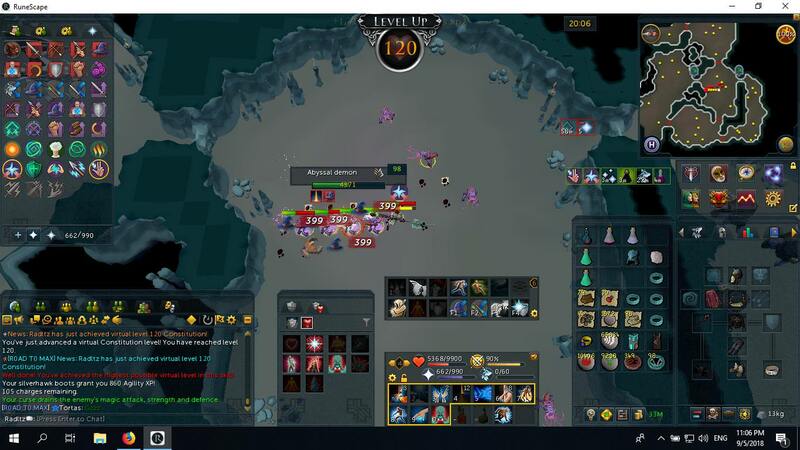 While my main focus remains on the Hunter grind I am also slowly working on 120 Hitpoints, Magic, Slayer goals at the moment. 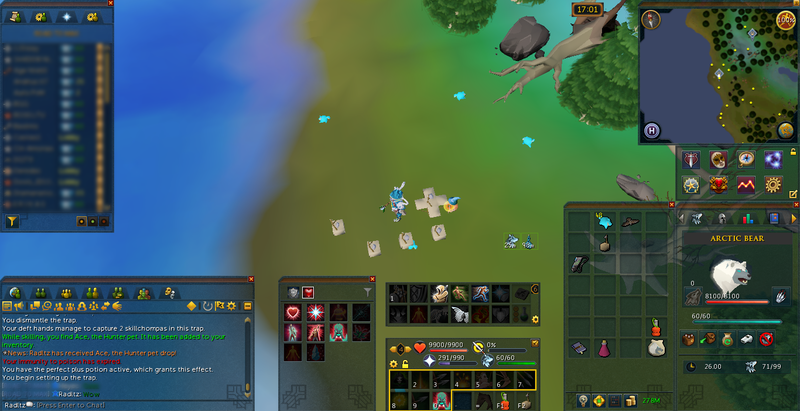 Ace, the hunter pet drop at 62,216,139 experience! Edited by Radltz, 19 September 2018 - 8:16 AM. 300 Scraps of scripture (10.35/1). 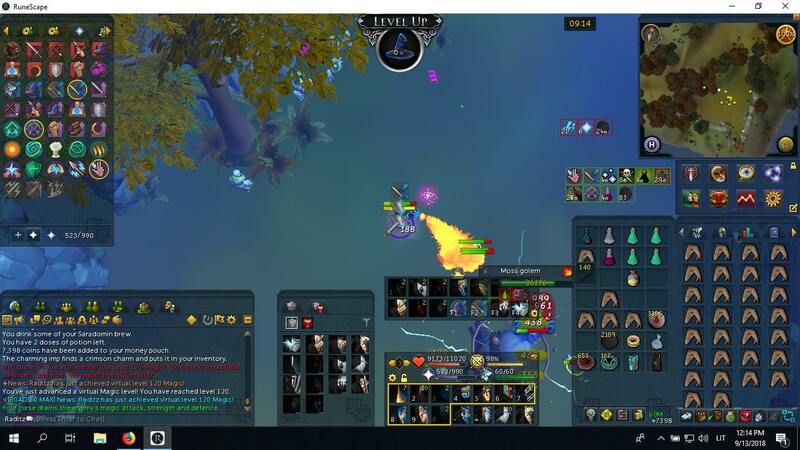 60M GP from regular drops and 165M GP for Khopesh, so 225M GP in total. The Minister pet and of the Crossing title. 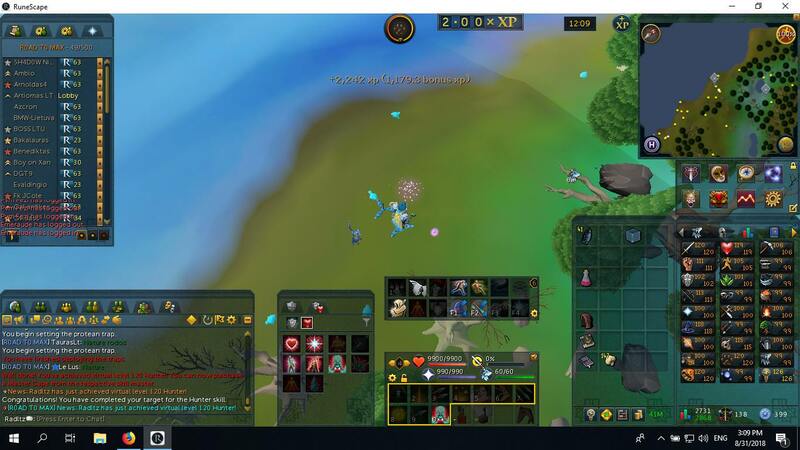 14474111 XP in Magic, 4776450 XP in Hitpoints, 379200 XP in Slayer skills and 23042561 XP in total! Glad to see you updating your topic again and nice exp gains. Congrats on the pet and title, almost at your HP goal. 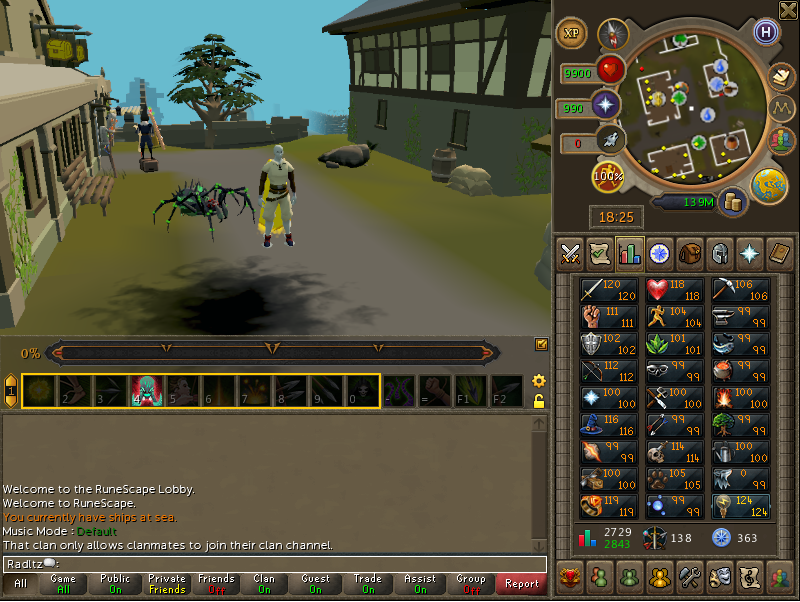 In the beginning of double xp weekend I finaly managed to conclude the 120 Hunter and finished 2 more 120's this month! 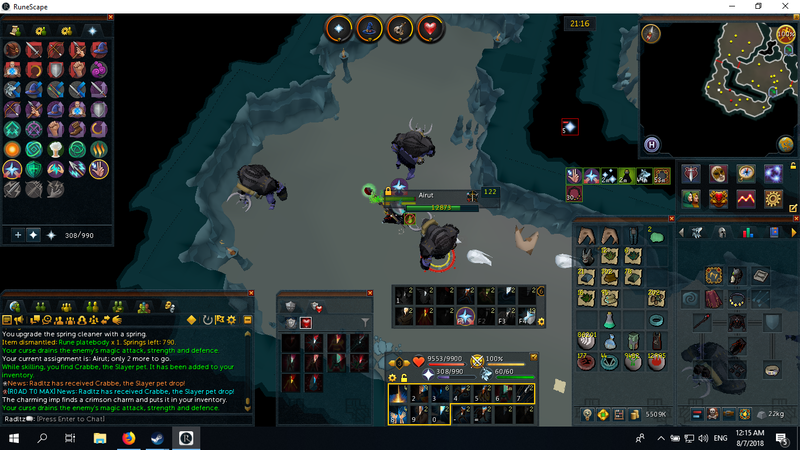 Crabbe, the Slayer pet drop at 69 501 540 experience! Edited by Radltz, 16 September 2018 - 11:59 PM.